The Holiday Cottages, the Hayloft and the Bullpen, are situated in a quiet courtyard forming part of the impressive Backwood Hall Estate. These cosy and stylish home from home two-storey barn conversions have been lovingly renovated to a very high standard and furnished entirely by designer Sandra Harris, incorporating fabrics from William Yeoward, Designers Guild, Blendworth and furnished with an eclectic mix of antique and modern pieces creating a truly relaxing do-what-you-want atmosphere. The Hayloft sleeps 4-6. The Bullpen Sleeps 4. 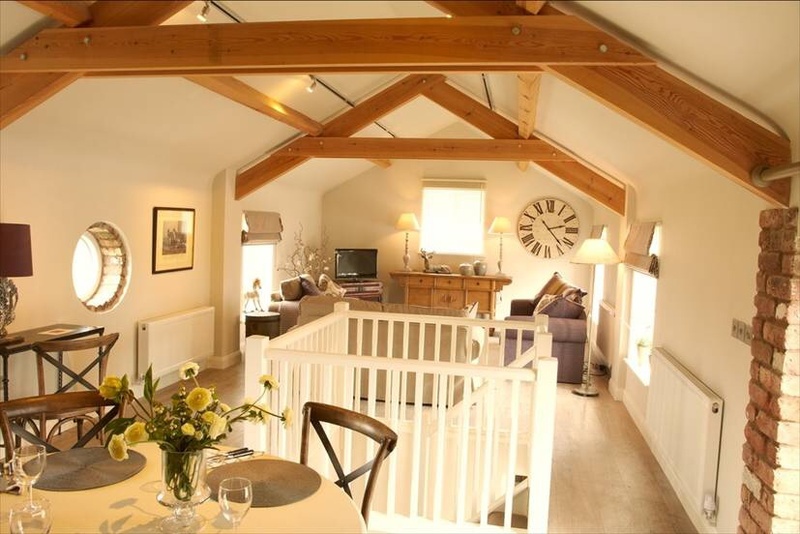 Each cottage is two-bedroomed with sun-trap front gardens, filling the rooms with light and space. The spacious individually designed bedrooms all have their own private en-suite shower room. Their airy open plan living room/dining areas with fully fitted modern kitchens have everything you need to enjoy your escape to the country. Enquire about bringing your dog or your horse on holiday, the perfect place for walking or riding. Self-catering is easy with M&S and Sainsbury’s only a five min drive away.